CLICK HERE to buy your 405 Series Wide Dimpled Wedge NOW! 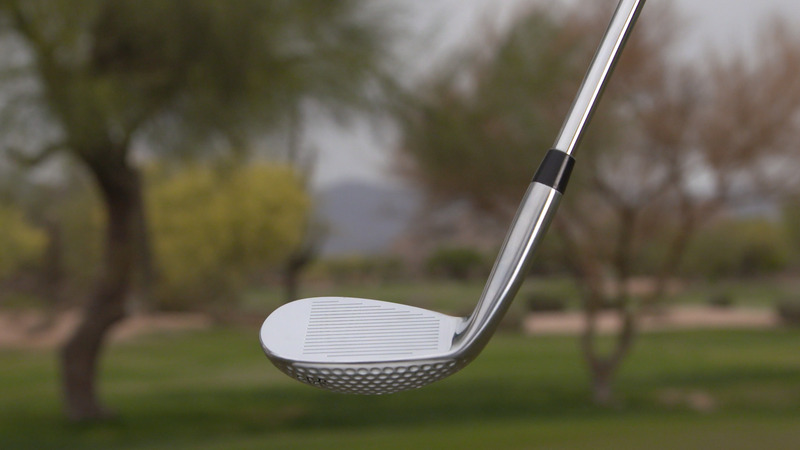 Wouldn't you like a wedge that helps you get out of the sand the first time EVERY time? 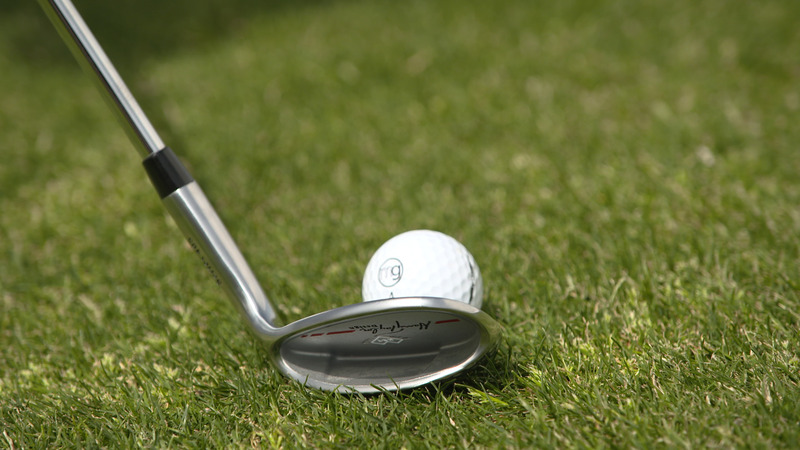 A wedge that's nearly impossible to hit fat and that makes pitches from the rough or fairway SO much easier? Then the Harry Taylor Series 405, Dimpled Wide Sole Wedges is the wedge for you! Super-forgiving wide dimpled sole: The wider sole, with its golf-ball-like dimples, lets it glide through sand or thick grass much easier than a conventional wedge. Nearly impossible to hit fat. No need to worry about opening the face, just square it up and take a swing and you'll put it close to the hole. Soft feeling 303 steel: Softer than a 1025 carbon steel forged golf club, the more expensive 303 steel gives you a very soft, solid, great feeling golf club from your very first shot. Precision milled face and grooves: Produces a face that's perfectly flat and outplays and outperforms clubs made using less stringent manufacturing methods. Tour quality rubber grip: Most popular grip style in golf. Non-slip pattern ensures sweat and moisture won't reduce comfort or accuracy, letting you play confidently and comfortably for the full 18 holes. 4 different lofts: 52°, 56°, 60°, and 64° in both left- and right-handed clubs. Harry designed these wedges in 52, 56, 60 and 64 degrees for any type of shot from around the green and up to 100 yards. Harry's Series 405 wedges are SO forgiving and SO versatile that you can keep your same stance and swing from the bunker or any lie and still get the ball up in the air effortlessly. They will be THE best wedges you have ever owned! 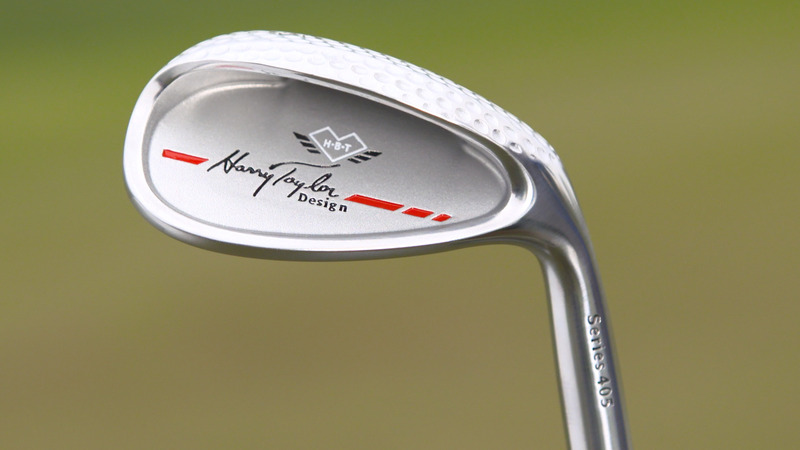 Click Here To Get Your Harry Taylor 405 Dimpled Wedge Now! It's because most are designed for Tour players, guys that practice for hours every day. 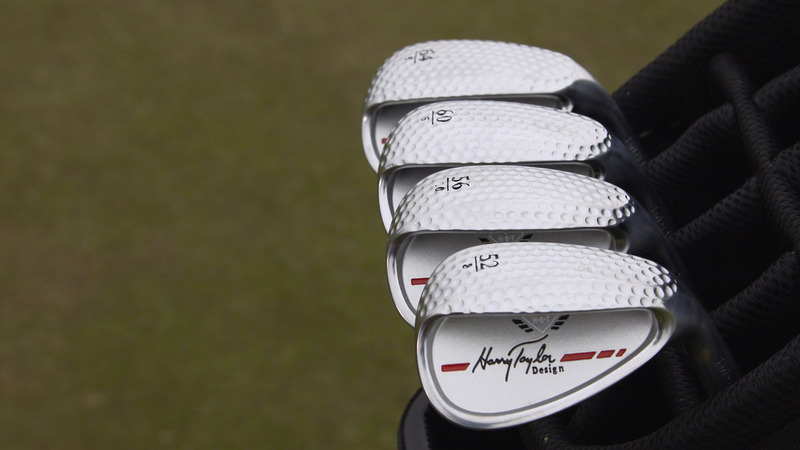 Their wedges have a very narrow sole, and little to no forgiveness technology built in. With traditional wedges, you have to time your swing just right and be SO precise! You know you need a great performing, impossible to chunk, super-forgiving PREMIUM quality sand wedge! Up until now such a wedge just didn't exist... until now. What makes these new wedges so great? Harry Taylor has designed wedges and irons for decades for the best players in the world. And now he has designed a wedge specifically for us regular golfers. With its never before seen, friction reducing, chunk proof dimpled sole design, the HT wedge effortlessly cuts through the sand and rough like a hot knife through butter! It's that easy to hit from the bunker or any lie! Harry's new Dimpled Wide Soled sand wedges are engineered with performance, forgiveness, AND quality in mind. You can tell immediately when hold the HT Wedges and set them behind the ball, these babies are legit. And then when you hit it, with the soft feeling, 303 steel, the precision milled face and grooves and the super-forgiving wide dimpled sole which slides effortlessly through sand and rough and just refuses to dig, you'll know you found the perfect wedges to add to your bag! These are features you'd expect in a premium quality wedge costing twice as much. We know that once you try them you'll agree that these babies are the perfect wedges for your game! Harry wedges have superior performance and premium quality without a premium price! GET YOURS TODAY for ONLY $87! 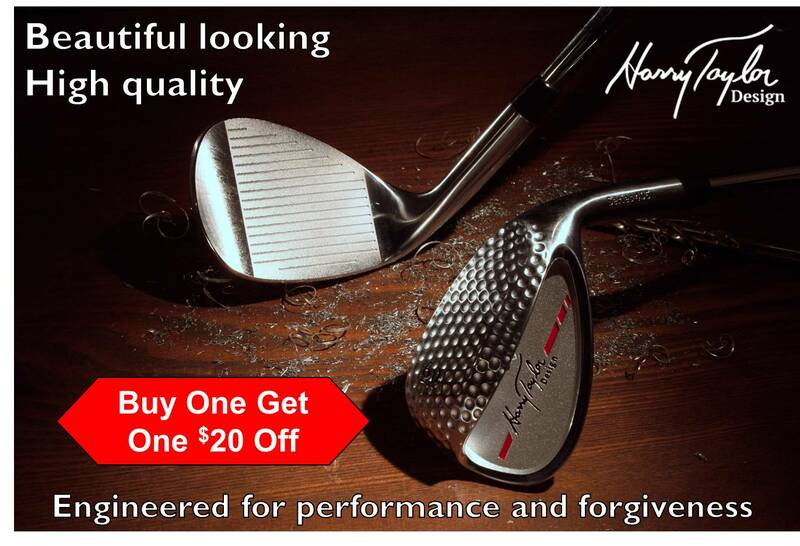 And currently, when you buy one wedge, you will get a second one for $20 OFF! This includes FREE SHIPPING sitewide! Buy a New Harry Taylor 405 Dimpled Wedge with No Risk! Check out our satisfaction guarantee! Try a Harry Taylor Series 405 Wedge completely risk free! They come with Harry’s “Love Em, Never Chunk Em” Guarantee. You'll love the look, love the quality and especially love the performance as you hit shot after shot from the sand, rough, any lie, onto the green and closer to the hole and never, ever worry about a chunked or fat pitch or sand shot again! Test-drive your order for 30 days. If you're not 100% satisfied, just send it back, no questions asked for a full product refund (less shipping).